Steller's Sea-eagle is the biggest bird in the genus Haliaeetus and is one of the largest raptors overall. The Steller's Sea-eagle mainly feeds on fish. On Hokkaido, eagles are attracted by abundant Pacific cod (Gadus macrocephalus) which peak in the Rausu Sea and the Nemuro Straits in February. 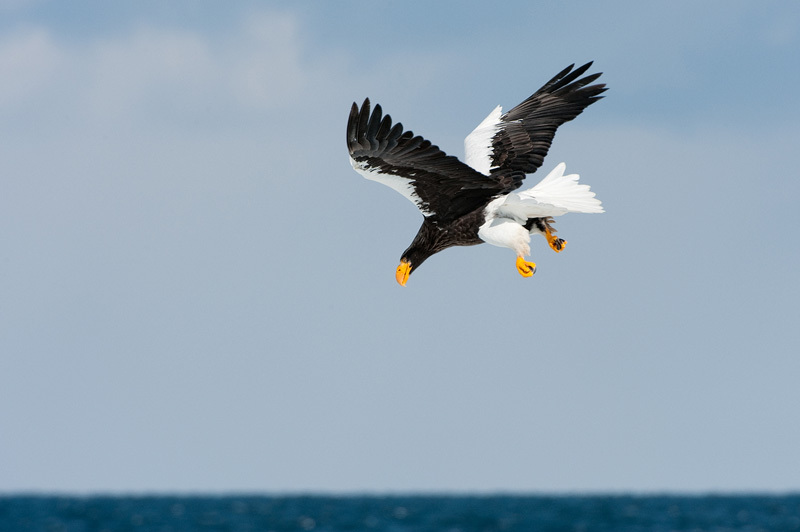 This resource supports an important commercial fishery which in turn helps to support eagles.